Named for the state flower, Columbine, Colorado is a small stable community, located in the southwest portion of the greater Denver metropolitan area. Columbine Valley, Colorado, in Jefferson County, is 6 miles South of Lakewood, and 9 miles SW of the Denver metropolitan area. The town is part of the Denver metropolitan statistical area (MSA). About 1200 people call Columbine Valley home. 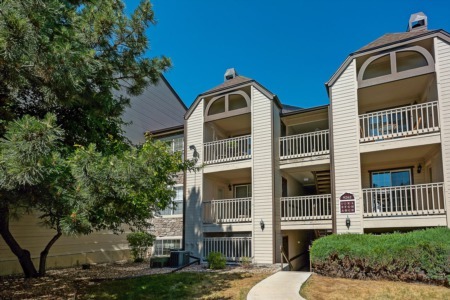 Residents and visitors alike enjoy huge open spaces, and recreational waterways along the Platte River, as well as close-in shopping along Wadsworth Boulevard. This is clearly a family community as their owners occupy 98% of single-family homes in Columbine Valley. Renters, and what would be available housing for them, is apparently in very short supply. Notably, housing in the town tends to be newer than in most other nearby communities. Excellent rail and bus transportation, with easy access to canyons and foothills further west, could possibly explain why Columbine Valley, Colorado enjoys a higher than average concentration of small close-knit families.